Happy new month to all our beloved readers. We welcome you to the new Month with best and affordable data plans on MTN, GLO, AIRTEL and ETISALAT Networks. Today, being 1st of June, 2016. You will get to see most of the data plans that can go a long way in whatever you are using it for. Are you the type that likes downloading heavy files like videos, Games, PDF, songs etc or stay online always connecting to people around the world, probably through social medias. Here comes they very cheapest data plans for all that. For Most of us who are looking for free browsing probably from tweaking imeis, the time has not yet come, but sooner that will get to your court. 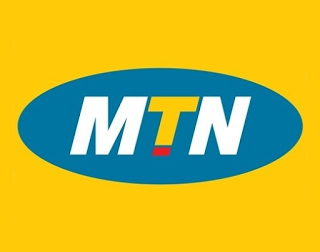 Daily MTN Unlimited Data Plan For All Device: This particular daily data plan gives you opportunity to browse unlimitedly using any device with enabled internet access and as well good MTN network signal. Although the data is meant for just a day but it is unlimited. MTN charges you only #150 for you to subscribe to this data plan and it runs for 24hours. So, I recommend this data plan for those that want to download heavy files. To activate this data plan, only dial this code *567*59# having that you have about N150 airtime in your MTN line account balance. That's all for that. Remember, it is not restricted to any device. So that means, you can use it on PC, and smartphones iOS. Note: its the type that select sim to work on, incase it didn't work on yours, just look for another MTN sim. How To subscribe To Any Of The data package? To subscribe for 1.3GB at #1000, send 106 to 131. To subscribe for 3.75GB at #2000, also send 110 to 131.That's all for that. These data plans can as well be used on all devices including: Android, iOS Symbian, windows, Blackberry, PC etc. MTN bblited is a data plan that let you surf on your android device even as it is meant for blackberry devices alone. Don't try again, if you have been trying to activate MTN BBlited, because, its no longer working. Hopefully, MTN won't let it go like that, so something must be done to activate it back for all to use. Just be tuned, we will let you know any update about it. Did you miss bblited subscription? ==> To get MTN 50MB on your MTN line, just send 104 to 131. The price was N200 before but now, reduced to #100 naira only. ==>If you could remember, MTN used to charge #2000 for 750MB before, but now is no longer like that. they only charge #500 naira for that. To subscribe, send/text 103 to 131. The data plan is valid for 7days (one week). ==> Also, For MTN 22GB data, it goes for N10,000 naira (and it is Valid for 30 days which is equivalent to one month). So, to subscribe, send this number 117 to 131 via text message. ==>For MTN 50GB data, the price is N20,000 ( and the lasting duration is within 3Months). To subscribe, text via message 118 to 131. ==> For MTN 85GB, you can get this one at the price of N50,000 (And it is Valid for 3Months). To subscribe only send/text via SMS this number 133 to 131. That's all for that. This data plan was not announced publicly, MTN decided to launch it without much noise about it, and the data being 1.5GB goes for #1000 naira only. This can be a better alternative to 1.3gb that also go for #1000. ==> A pop up will display after dialing, then reply with 1 For "Buy data plans"
==> Reply again with 3 for "monthly data plans"
==> And finally, reply with 1 in other to activate the 1.5GB data. You are good to go. The validity is 30days. The plan was launched as of recent, and as it was written in the title, it's a Night plan that starts from 12AM and end by 4AM. The price charged by MTN Network for the data plan is #25 naira only. ==>For you to participate in using this 500MB, you must be migrated on MTN Pulse tariff plan. If you are not sure of the tariff plan you are already before migrating to the above tariff plan, just dial *123# and check the tariff plan your SIM is on. If after checking, and you found out that, you are not on pulse, kindly dial *406# in other to migrate to pulse tariff plan. Airtel being one of the networks in Nigeria, also have there own way of serving their subscribers better. They are mostly good in serving their customers data plans for internet browsing. With strong airtel signal wherever you are, enjoying data won't be a problem, as it flows like jet in speed when connected to the net. Read on to see their latest and cheapest data plans for the Month, June in 2016. √ Recommend: Relaunched Airtel SmartTalk Tariff Plan: Call All Network At Cheaper Rate. I will be unleashing tips and secrets behind Airtel data plans. Are you a new subscriber to Airtel network, I will encourage you to go for "Welcome to Airtel Plan" this very plan gives you 1GB for only #1,500 + 2600. To subscribe for this package, load your airtel airtime with *555*PIN#. And after that, you will be given 1GB and free airtime bonus of 2600. The airtime bonus will expire in two weeks time while the data will expire in two months time. Are you such that does things online that requires fully loaded gigabytes, then these below Airtel night data plans are for you. Since they are unlimited and as such, they will see to your point of need whenever you are online to browse and download heavy files. Although, they are timely base data plans without restrictions to work on one or two particular devices, but are meant to work on all devices which some may include: Symbian phones, Java, iPad, iPad, Android, PC etc and does not require any special settings. Once you have strong network probably 3G or 4G network, your connections will be like jet in speed. To subscribe for this data plan, recharge your line with #500 and then dial this USSD Code *418#. This particular data is similar to MTN 750MB. The validity is just 14days while that of MTN is 30days. So that's the only difference between the both. To check the data balance, dial *140#. 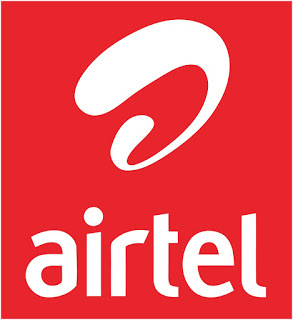 To check the Airtel WTF data balance, dial this *990*0# on your phone. Note: This data plan can only work on Opera mini and all social medias such as whatsapp, Facebook, twitter, 2go etc. it will work on opera mini if only you change to the given APN above. We are still working on how to make it work on other browsers like Uc browsers, Firefox, chrome etc and also powering all other applications with the help of Netloop and Psiphon VPN. Below are the latest and cheapest data plans for Glo network. It was arranged and listed with their prices and that of its validity periods, So make your choice. To subscribe for any of the data plans above, do that by dialing *777#, after dialing, you will get to see a pop-up on your screen, then reply with the listing numbers for any of the data shown on your screen. Note, do that when you must have recharged the exact amount for your choice of data above. (Data Services >> Buy Data >>> Night & Weekend plans), choose 1 for Night plan Or select 2 for weekend plan. It works very well on BB10 and Android devices too. But on android, imei tweaking is required. 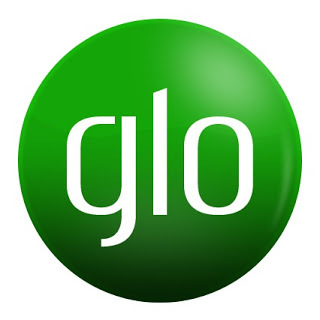 Glo N1,000 for 1.5GB: Dial *777# and follow the prompt. No strange settings required. Etisalat went back and touched their data plans. As they went back to it, they did not just review and leave, but they upgraded some of them to a standard where all their subscribers can afford to go for the data plans. Below are they data bundles, their subscription codes, prices and validity periods. 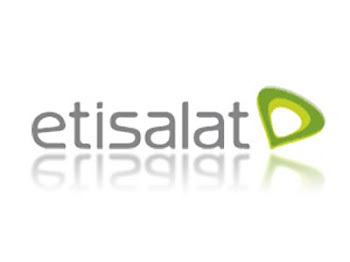 The validity for the data bundles for etisalat above is 30days. √ How To Configure Your Laptop/PC Moderms On MTN, Etisalat, Glo and Airtel Internet Settings. 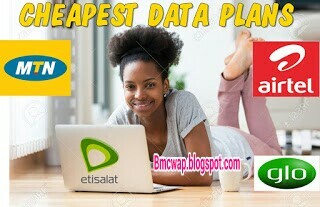 √ How To Transfer MB - Data to Anyone on MTN, Etisalat and Airtel Networks. Now, using the share buttons below, tell your friends about this post on latest and cheapest data plans for JUNE, 2016. Did we miss any latest data plan for any of the four major networks listed above, please use the comment box to tell us.